A window treatment for an arch-shaped window including a frame having an arch portion and a horizontal portion. It is made having having two tracks, an outer and inner, the inner track is made with a longitudinal slot which houses the beaded chain that controls the arms that protrudes out from the slot to controls the shade movement. The one piece chain runs in a figure eight configuration, moving between inner and outer track. Being only one chain is used, the two split shades move with identical motion. 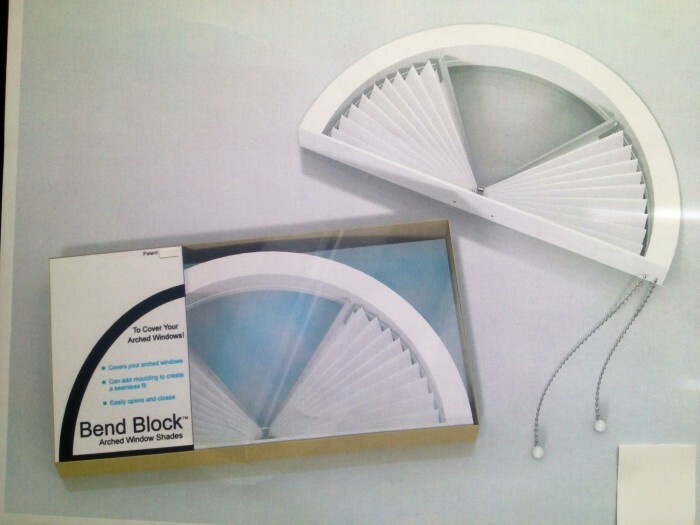 The benefits is the ability to control the glaring sun from poring through your arch windows. Bright light in your eyes or t.v. glair. Heating up your home when not wanted, fading rugs and furniture. This shade is giving you the option too close or open depending on your needs. I am looking to either sell or license with royalties. or some other form of partnership. I would be willing to assist in any way to help. It has a great market potential being there are millions of homes in the world built with numerous Arch windows in their construction. and having no existing shade too accent their window. 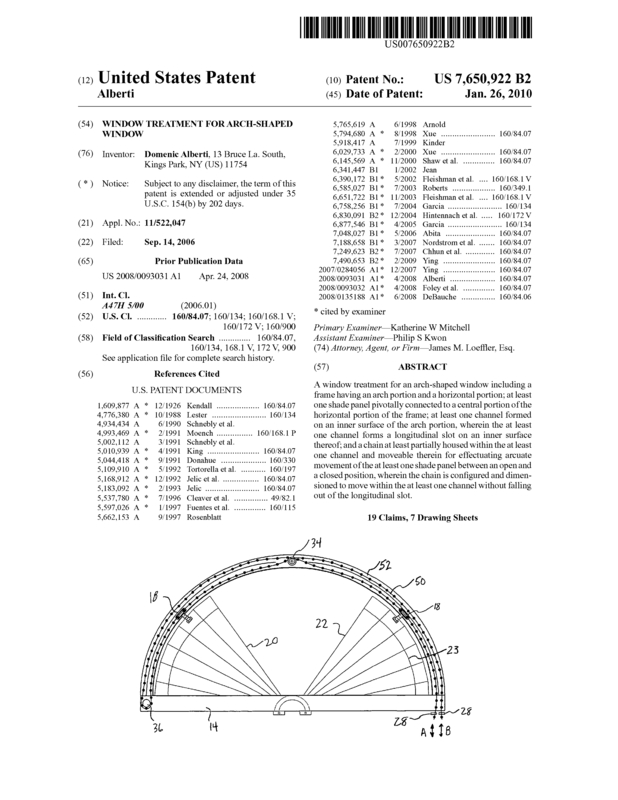 Page created at 2019-04-25 0:34:37, Patent Auction Time.